Robert Samuel COCHRAN was born about 1697 in Londonderry, Ulster, Iraland. He died about 1725 in Amagh, Ulster, Ireland. Robert married Jean ULN about 1715 in Londonderry, Ulster, Iraland. Jean ULN was born about 1698 in Amagh, Ulster, Ireland. She died about 1725 in Amagh, Ulster, Ireland. Jean married Robert Samuel COCHRAN about 1715 in Londonderry, Ulster, Iraland. M i Glass COCHRAN was born in 1716. He died on 5 Sep 1795. 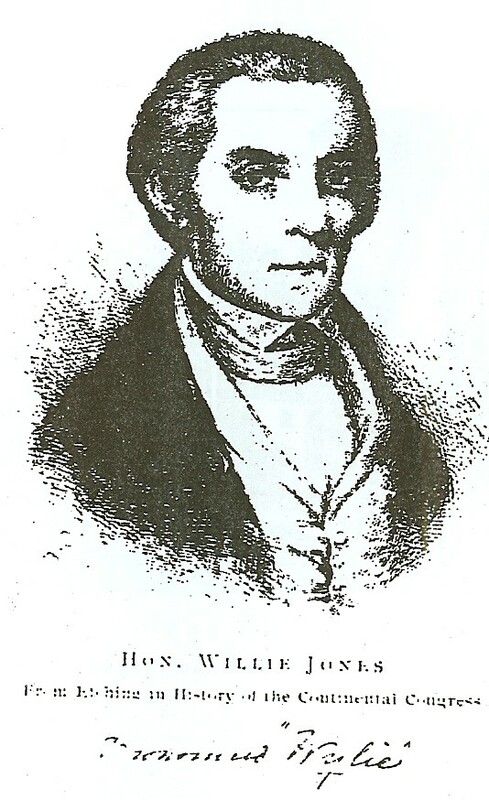 James Randolph "Randel" JENKINS [Parents] was born on 1 Jul 1760 in Pimmit Hills, Fairfax, Virginia. He died on 8 May 1824 in Golden Hill, Union, South Carolina. James married Deborah DARBY in 1780 in , , Maryland. Deborah DARBY was born in 1770 in Prince George, Maryland. She died about 1821 in Union, Union, South Carolina. Deborah married James Randolph "Randel" JENKINS in 1780 in , , Maryland. Phillip JENKINS was born in 1788 in Goshen Hill, Union, South Carolina. M ii Samuel JENKINS was born on 5 Nov 1789. He died in 1870. William JENKINS was born in 1792 in Goshen Hill, Union, South Carolina. M iv John JENKINS was born in 1793. Sarah Margaret JENKINS was born in 1794 in , Union, South Carolina. She died on 14 Nov 1895 in Hog Mountain, Gwinnett, Georgia. Stephen JONES was born on 16 Jan 1812 in Hickman, Smith, Tennessee. He died on 4 Apr 1895 in Welser, Washington, Idaho. Stephen married Isabella Jane JONES. Isabella Jane JONES [Parents] was born in Jul 1840 in , Desha, Arkansas. She died on 20 Aug 1901 in , , Idaho. Isabella married Stephen JONES. M i John O. JONES was born about 1832. Franklin JONES was born on 16 Jan 1812 in , , Tennessee. Franklin married Amanda Lavina ELY. Amanda Lavina ELY was born on 1 May 1814 in Sugar Run, Lee, Virginia. She died on 21 Oct 1872 in , Boone, Arkansas. Amanda married Franklin JONES. F i Isabella Jane JONES was born in Jul 1840. She died on 20 Aug 1901. John O. JONES [Parents] was born about 1832 in , , Virginia. John married Margaret Catherine JONES. Margaret Catherine JONES [Parents] was born in Jan 1837 in Paint Rock, Jackson, Arkansas. She died in 1910 in , Johnston, Oklahoma. Margaret married John O. JONES. John Cuffy JONES [Parents] was born in 1788 in , , Tennessee. He died in 1866 in , Newton, Arkansas. John married Mary GAINES. Mary GAINES was born in 1795 in , , Georgia. Mary married John Cuffy JONES. F i Margaret Catherine JONES was born in Jan 1837. She died in 1910. William Wylie JONES was born on 25 May 1741. He died on 18 Jun 1801 in Raleigh, Wake, North Carolina. M i William "Willie" JONES was born about 1760. He died on 4 Nov 1839. William "Willie" JONES [Parents] was born about 1760 in , Jones, Georgia. He died on 4 Nov 1839 in , , Alabama. William married Nancy. Nancy was born in 1760 in , , Tennessee. She died on 4 Jan 1866 in , Moore, North Caolina. Nancy married William "Willie" JONES. M i John Cuffy JONES was born in 1788. He died in 1866. Col. William Wylie JONES "Sr" [Parents] was born on 25 May 1741 in Halifax, Halifax, North Carolina. He died on 18 Jun 1801 in Raleigh, Wake, North Carolina. He was buried in Residence near Raleigh, Wake, North Carolina. William married Elizabeth HUNT. Elizabeth HUNT was born about 1847 in , Prince George, Virginia. Elizabeth married Col. William Wylie JONES "Sr". Henry JONES [Parents] was born on 26 Mar 1777 in The Grove, Halifax, Halifax, North Carolina. He died on 5 Nov 1880 in Cottonwood, Houston, Alabama. Henry married Catherine SMITH. Catherine SMITH was born on 2 Nov 1802 in , , Virginia. She died on 14 Dec 1854 in , McDuffie, Georgia. Catherine married Henry JONES.